The 22d Airlift Squadron is part of the 60th Air Mobility Wing at Travis Air Force Base, CA. It operates Lockheed C-5 Galaxy aircraft supporting the USAF global reach mission worldwide. I found this patch in a Korean embroidery shop, has the 'theater-made' feel to it with a 'cut-edge' border and 'silky-twill' background, and does not have velcro attached. The 22d Airlift Squadron is part of the 60th Air Mobility Wing at Travis Air Force Base, CA. It operates Lockheed C-5 Galaxy aircraft supporting the USAF global reach mission worldwide. I found this patch in a Korean embroidery shop, has the 'theater-made' feel to it with a 'cut-edge' border and twill background, and does not have velcro attached. This is the old-styled reproduction version of the 29th Airlift Squadron. 29th Weapons Squadron is out of Little Rock and they fly C-130 Combat Delivery. This is the "Delta" patch for the 38th Airlift Squadron. It states "You call, We Haul.... Anything, Anytime, Everytime". 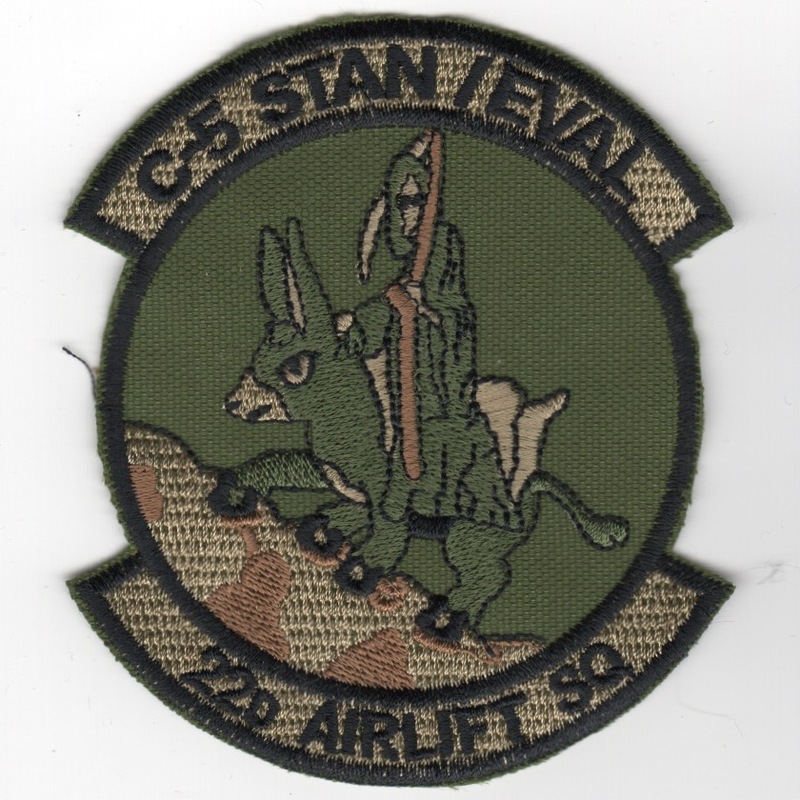 This is the color version of the 45th Airlift Flight Patch. This is the blue version of the 45th Airlift Squadron Patch. This is the color version of the 56th Airlift Squadron Patch that states "Size Does Matter" along the bottom. This is the color version of the 89th Airlift Squadron Operation Iraqi Freedom (OIF) Patch. Yes, it's plain, but direct and to the point. This is the color version of the 99th Airlift Squadron "Sam Fox" Patch. This is the desert version of the 99th Airlift Squadron "Sam Fox" Patch. 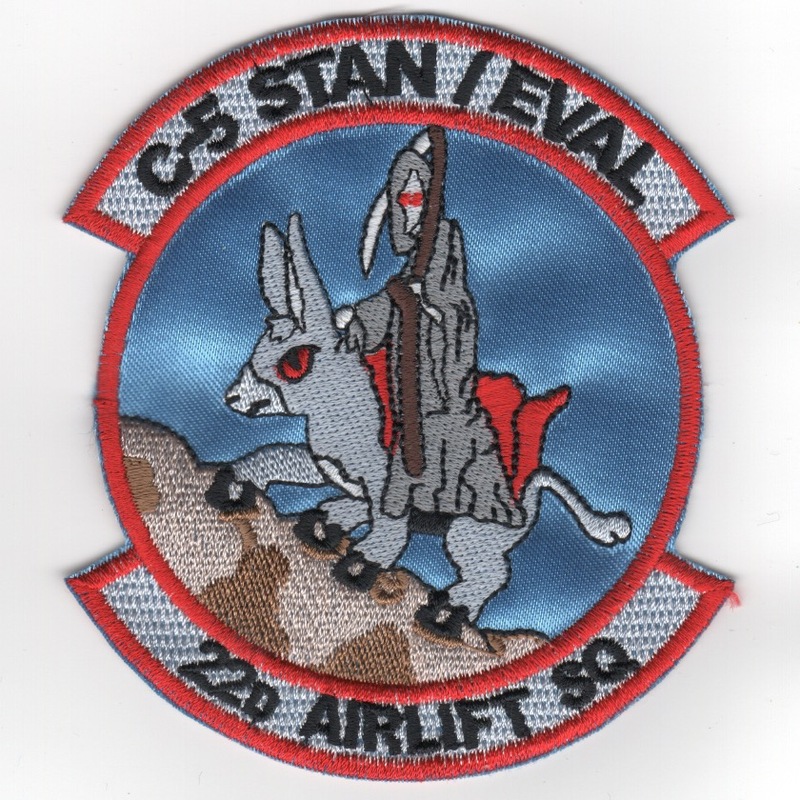 This is the patch for one of the classes at the C-130 training squadron. 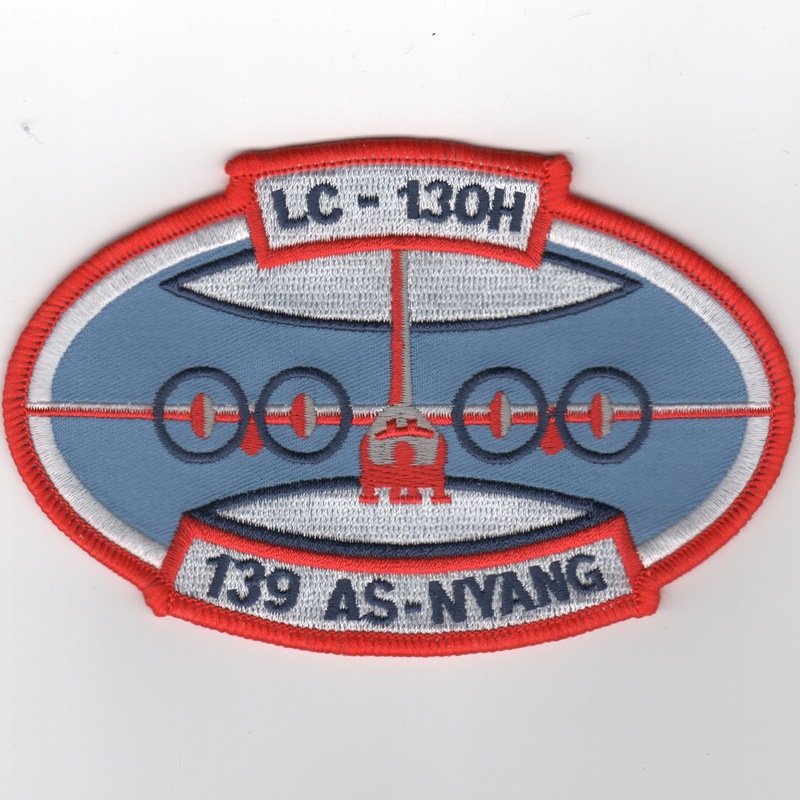 This is the aircraft patch for the 109th Airlift Wing, also showing that they are the NY ANG unit flying the C-130 Hercules. This is the desert version of the crest patch worn by those attached to the 133rd Airlift Wing. This is the color version of the crest patch worn by those attached to the 135th Airlift Group. This is the "Antartica" flag patch for the 139th Airlift Squadron that fly the LC-130H out of Scotia, NY as the NY Air National Guard. They fly the LC-130H Hercules down to the South Pole!! This is the light blue oval patch for the 139th Airlift Squadron that fly the LC-130H out of Scotia, NY as the NY Air National Guard. They fly the LC-130H Hercules. This is the black oval patch for the 139th Airlift Squadron that fly the LC-130H out of Scotia, NY as the NY Air National Guard. They fly the LC-130H Hercules.